July 25 was a cultural experience at its best!! Before I get to that, however, an update on Jake’s backpack and camera. When he woke up he asked me if I would take him to the place we think he left it. We had our breakfast and I took him down to Tiberias to the beach at which we swam 2 days ago. Fortunately I recognized the life guard. Unfortunately he did not speak very good English, and that was better than my Hebrew. I was able to get Herb (my father-in-law for those who do not know) on the phone and between us we were able to help him understand what we were looking for. No Luck….nobody had turned it in. When we got back to the house the gang decided that the adventure of the day would include a ride to Rosh Hanikra, where there are caves and grottos created by the sea. As soon as he heard about the grottos, Matt asked if they would be like the one at Hugh Hefner’s mansion….kidding….I asked that…. 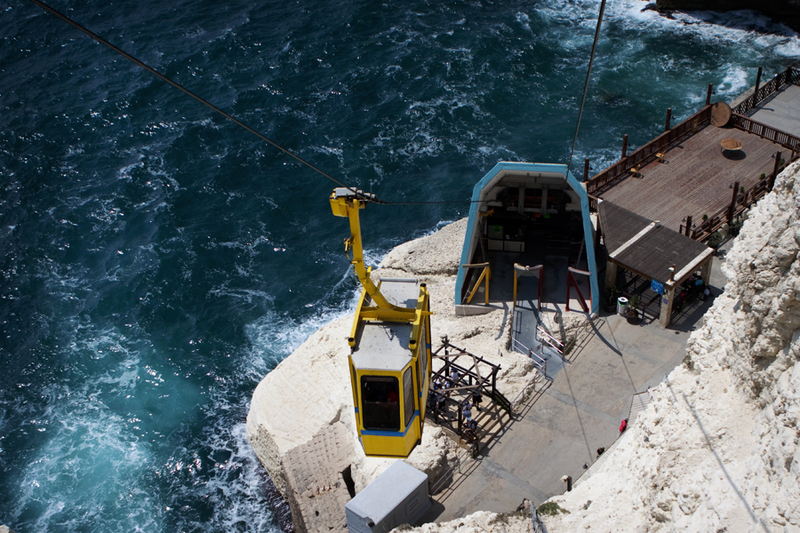 Getting to the grottos requires a cable car ride from the top. Once at the bottom there is a path that walks you through the caves….it’s short, but it was well worth the trip. What I really want to focus on is the cultural experience we had after that. We left Rosh Hanikra and traveled about 20 minutes south to the City of Akko (for some reason also spelled Acre). 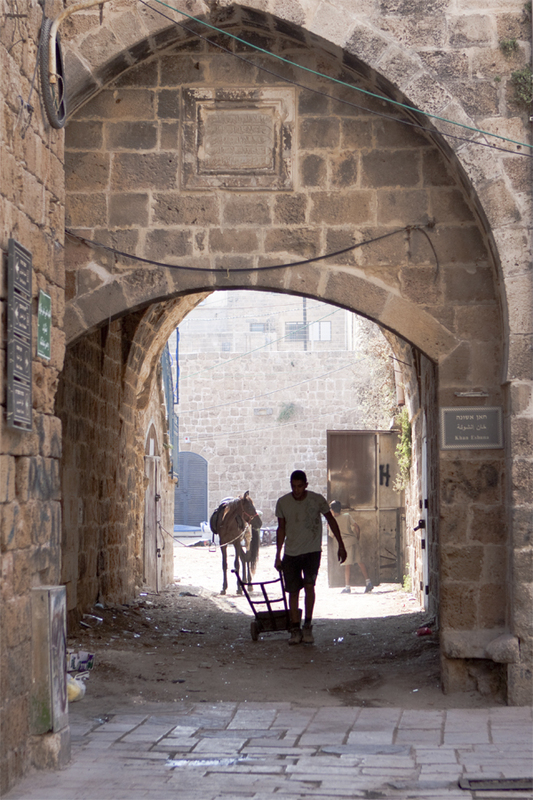 The Old City is a walled community that is almost completely Arabic. The sounds and smells were uniquely different from the other Israeli villages through which we have traveled. 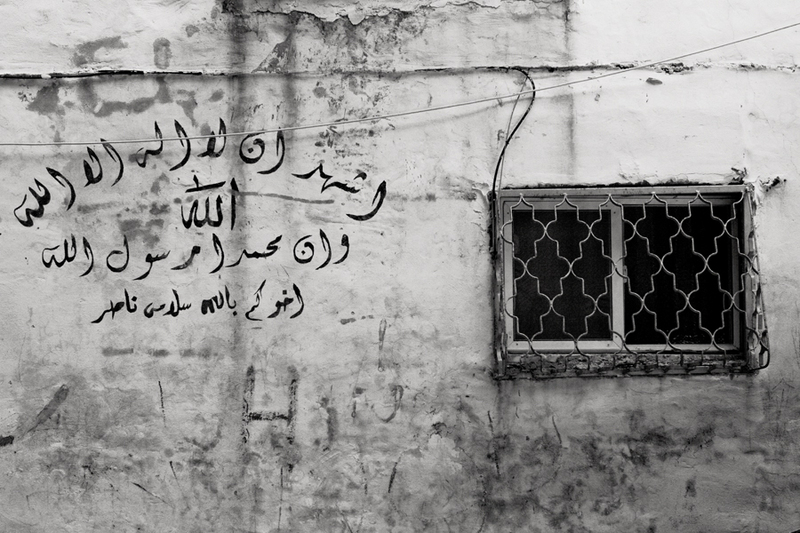 The writing, and the graffiti is all Arabic…no Hebrew to seen here. Big disclaimer: I have no idea what that says, so if you read Arabic and if this is somehow offensive, I apologize. 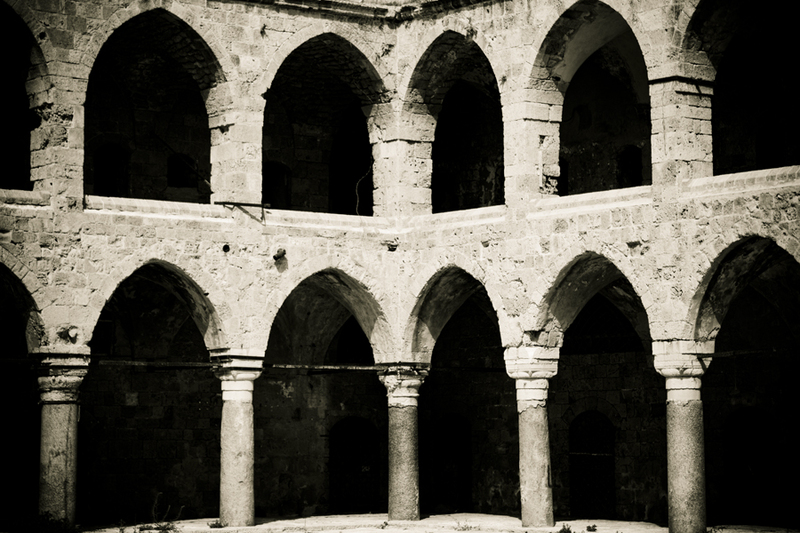 Anyway, Akko’s old city dates back to the time of the Crusaders, around the 12th century. 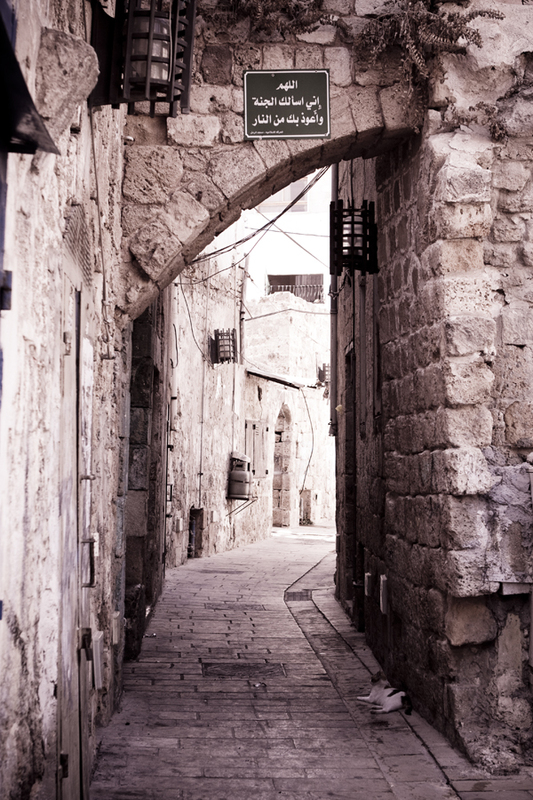 It is a maze of narrow and dark alleys and passages, with worn cobble stone walk ways. The buildings comprise a combination of residential homes and small store fronts whose shop keepers practically accost you as you walk past…you need to be almost as pushy as they are to make them understand that you don’t want a souvenir, a fan, jewelry, or a freshly squeezed glass on pomegranate nectar. The alleys open to vibrant courtyards and glimpses into centuries gone by. 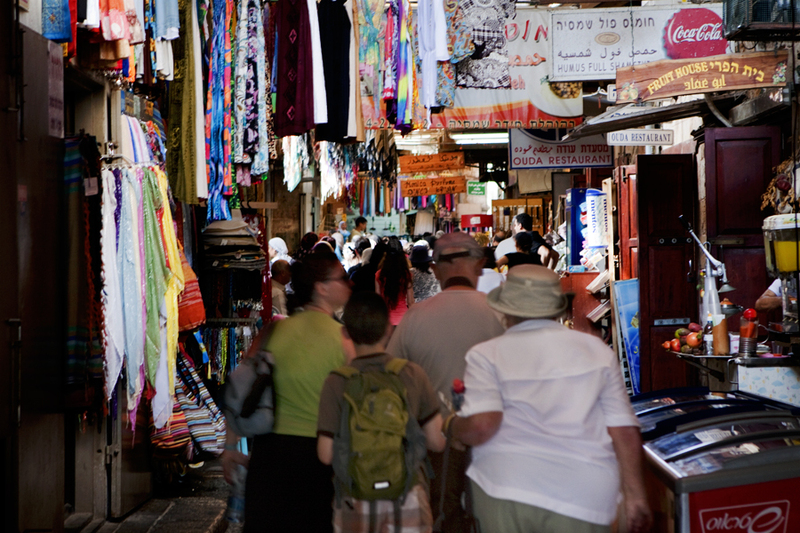 As we wandered the streets looking for the tunnels used by the Templar Knights to move through the city unnoticed, we stumbled across the shuk. 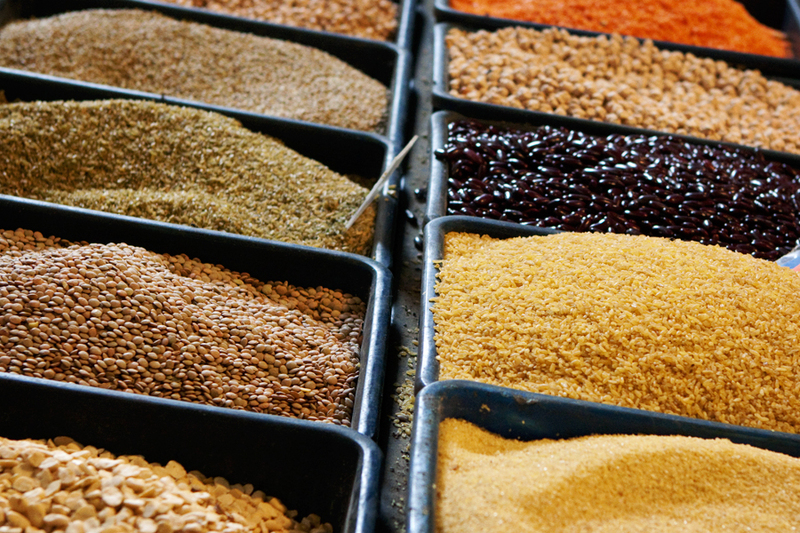 The shuk is the neighborhood market place….almost like a flea market back in the states. 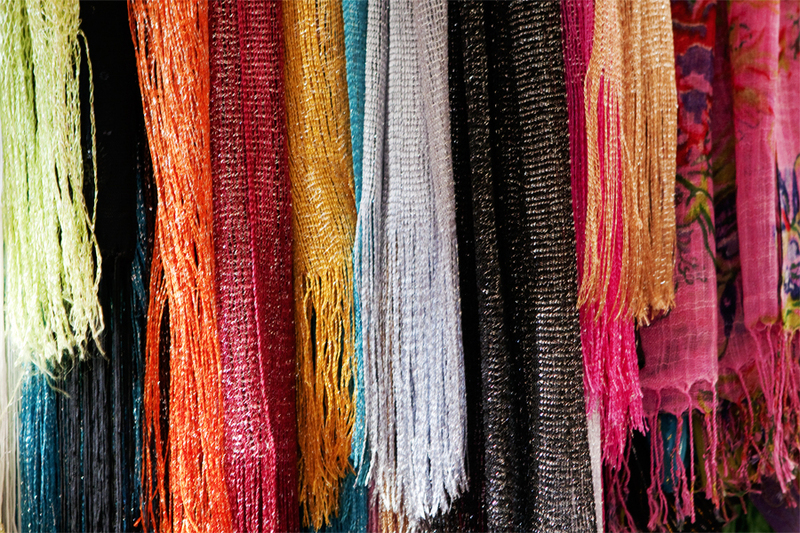 There is jewelry, clothing, food, spices, toys, and more…You name it, you can find it in the shuk. Unlike the American flea market, this is a dark, smelly, and kinda scary place to be at first. It was clear that we were being stared at as we walked down the path. The street itself was wet and sticky…almost like a Saturday night frat house floor. There is a shallow channel that runs along the center of the narrow walk way and leads to sporadically placed drains…based on the smells, I know its not frat house beer than runs through those channels so we urged the boys to watch their step and avoid the flowing liquids. Once you get past the initial discomfort with the place, it became quite interesting. To take a step back and simply listen and observe the activity almost serves to transport you back several centuries in time….I imagine that although the wares may have changed in that time, this place and its culture and tradition has not changed one bit. The colors are vibrant and the aroma from the occasional spice shop are enough to make any weary traveler taste something from a street vendor that would likely be shut down by the health department by U.S. standards….which does not, by the way, mean that the food is not delightfully tasty….it is!! As much as the old city seems to be Arabic, the surroundings are clearly Israeli. 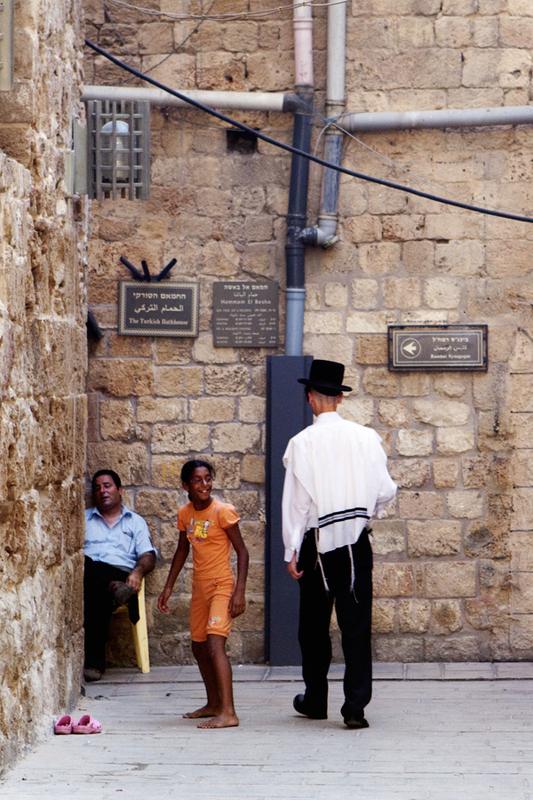 This means that even in this environment there is a coexistence of the two cultures that is evident throughout the area. 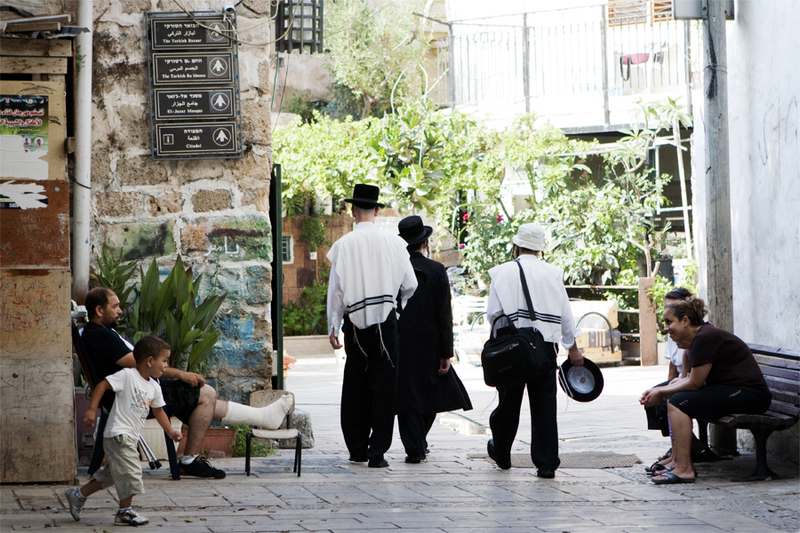 On some level, the fact that the Hasidim, an ultra religious Jewish sect, walk the streets surrounding the Shuk and the holy Islamic mosques of the old city is a stark example to me that there may be some hope for peace in this region some day. 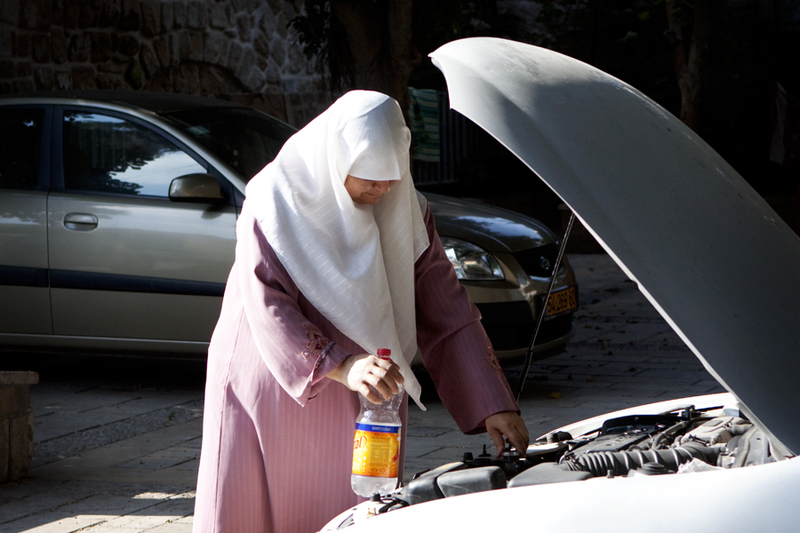 It was the sight of an older Arabic woman who made me realize that male or female, young or old, Muslim or Jew, we all drive the same cars and we all have to put the same fluids under the hood. On the streets we are all just people….people who may not share language, ritual, or fashion…but we share the human spirit. The cultural experience of walking through this place is one which makes this trip completely worth while. I know that I can experience cultural differences right in my back yard. I can go, in a day trip, from the Amish country of rural Pennsylvania to the ghettos of Harlem to the blue collar neighborhoods of South Philly. But this is vastly different than that. This is a clash of time and culture that cannot be experienced in village that is not a thousand years old in a region that is not the epicenter of world religious history. We have been here one week now, and I am sure that we will enjoy more similar experiences. This was the first exposure for us, however, and it was remarkable!